Feedback. Staff at Behavioral Health Resources are committed to continuous quality improvement. 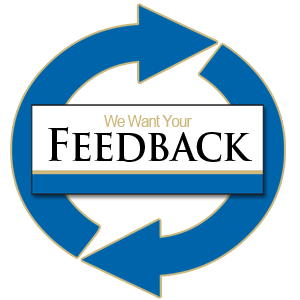 In order to improve our services, positive and critical feedback is welcomed and encouraged. Specific (vs. general) comments are most helpful. If we’re doing something you like, please let us know. We also like to be informed about how our performance can improve. This includes not only about the services we provide, but also about our website, brochures, etc. Feedback about our website can be provided by contacting us directly or by completing an online Website Survey. Satisfaction Surveys. Click on the dates below to review the summary reports for each survey. As a result of the input received in 2013-2015, we added more signs directing individuals to the BHR offices. We also made additional improvements regarding culture and diversity in our office signs, website, published materials, and general business practices. The most significant change we made in response to the surveys was the relocation of our offices to the Corporate Centre office park in July 2014. Our offices are now more accessible and there is ample parking. Our first on-site CARF accreditation survey was conducted on October 29-31, 2014. Signs about the survey were posted in our waiting room and written in English, Spanish, and Afrikaans (reflective of the clients served). Our next CARF survey was held on September 29-30, 2017 and signs were again posted about the survey. The main area for improvement consistently indicated by the surveys is to improve external and internal signage of the building. The landlord was contacted about this several times in 2016-2019, but no improvements have yet been made.